This especially useful new feature gives you the ability for to maintain one or more chat sessions between the system and a mobile phone user(s). You can respond immediately by starting a chat conversation after a user sends an MO for maximum interactions or customer support. It’s easy to access this feature: simply choose Msg Box from the toolbar and a new page will appear-like the figure below. 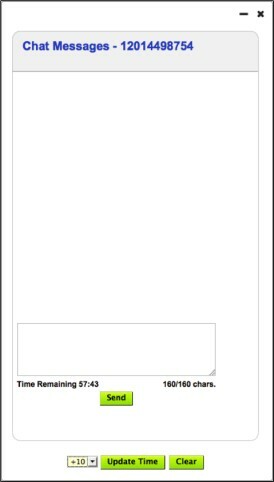 The large section on the right side may already contain a listing of messages. You’ll see four columns: From/To, Message, Date, and Action. On the left side, you can select the Client and choose the filters you want to apply to the message listing. In the bottom left corner, you’ll find the Active Chats section. Enter the text you want to send to the recipient. Respond to any messages that you receive. You can have multiple chat sessions active simultaneously. Minimize the windows when they are not in use to keep the all the chat sessions clearly in view. Select Open to begin chatting again. Click Close to terminate a chat session. You may access these tools from the Email menu in the Textboom toolbar or from the Email quick link icon located under the toolbar on the Dashboard. The Email Broadcast feature makes it easy for you to create one-time email distributions. We provide you with many options, and yet it’s quite easy to setup. If you use the quick link Email icon located under the tool bar on the Dashboard it will take you to the Email Manager. Click on the Email Broadcast icon in the top right corner to start a new Broadcast mail. 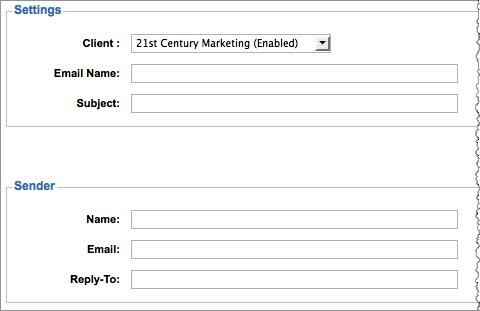 Enter an Email Name, such as “Welcome Email” that will uniquely identify this email profile. Optionally, enter the Name that will appear in the email header. You may also enter an Email address. This address will appear in the [From] field of the email header in each message. The Reply-To address will be the same as the Email address, but you may change it to a different address. This address will appear in the [Reply-To] field of the email header. When you’re happy with the setup, click Next to move on to the Email Content step.